What a brilliant sum up of the event, I had such an amazing two days and am so glad you came along Kevin. Chris has done a brilliant job in pulling us all together and inspiring us to succeed ! You’re spot on, Chris really has done an amazing job. A pleasure to be a part of a group that I think can achieve great things. 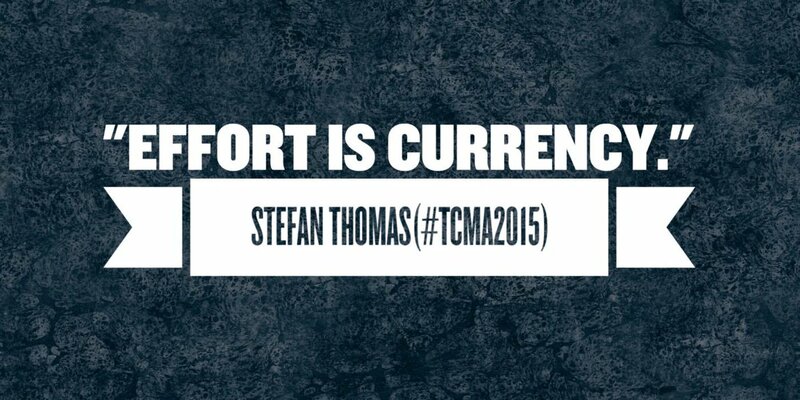 Kevin — what a powerful blog post and a fantastic write up of what The Content Marketing Academy 2015 was all about. 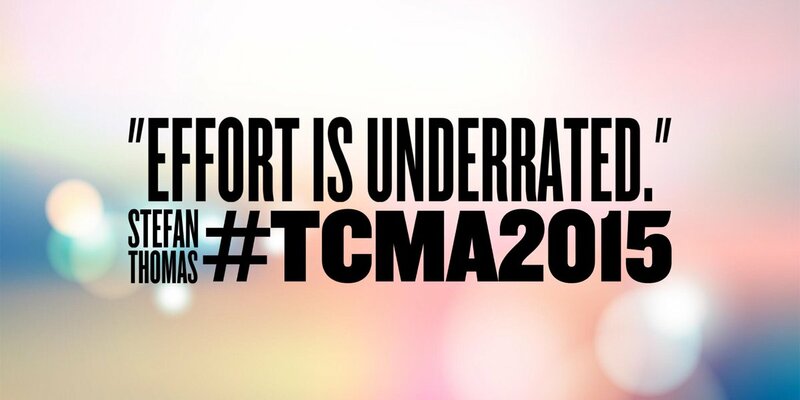 I got the same vibe from TCMA as you did — it felt like something very special and I think that’s because, as I alluded to in my presentation, it wasn’t a group of strangers coming together under one roof as you might find in a typical Conference. This was different. This was a community of people who knew, liked and wanted each other to succeed — and it showed. Wow! Thanks for sharing your thoughts. I wish you the best on your business journey! Thanks so much for taking the time to comment on my post. I’m so pleased I made the decision to not be quite so tight fisted! Just a fantastic experience that I’ll never forget. Great article Kevin. Like you I’m a bit cynical about these things and I wasn’t expecting much from the event which is why it had such a profound effect. Most of what was said was nothing new to me but the buzz in the room and the feeling of being involved in something special was priceless. Thanks for taking the time to read and comment on the post. Was really nice sharing the experience with you and catching up. The buzz was amazing. Really felt like I was part of a much bigger, exciting movement. Fantastic post and I totally agree with every word. Thanks very much for taking the time to comment. Really means a lot. Hopefully I’ll get a chance to meet you at a future event. Great to hear your story and hear what others took from the conference. As I am sure everyone of us take something different away from the event. Just sorry I didn’t get a chance to meet you. Right back at you. Really enjoyed your post. I confess that Marcus was a new name for me, can’t imagine what it must have been like to meet the man that’s influenced your career. Delighted for you and thanks for sharing your post, and for your kind words. This is an absolutely fantastic review of your time at TCMA, i really enjoyed reading it – I’ve read it a few times now. This quote is powerful “Today will go down as the day my business changed forever” and I don’t quite know how to respond to that, other than this is truly awesome! 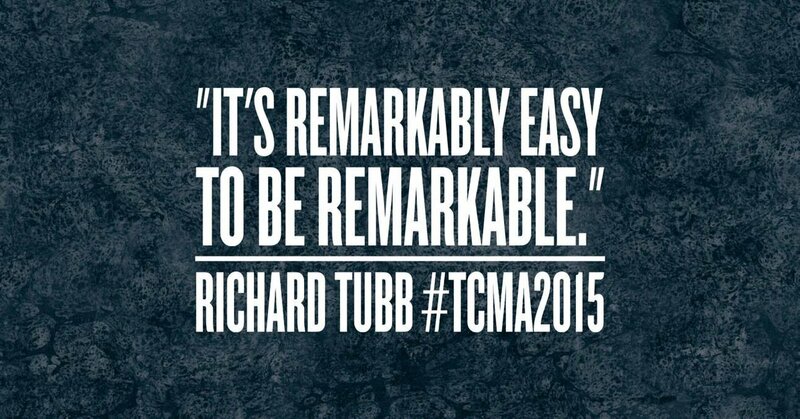 TCMA 2015 had a huge impact on people, much more that I had imagined and it has very much taken me by surprise. It’s now one week or so since the event I’m still trying to catch up with all the activity. It seems hat the buzz is building up, not fading away! I’m so pleased that you discovered the community and made it to TCMA and I’m very much looking forward to working with you over the coming weeks, months and years! Thanks for the comment but since I wrote it I realised I was selling it short by saying ‘business’. It has changed my life. Let me explain. I have this new level of clarity about my business, and this weekend I felt like a different person. I got to spend so much quality time with each of my kids on their own, as well as the mad collective that they are. Mrs. Anderson has been working nights this weekend and sometimes I admit my mind wanders to business thoughts when I should be enjoying time with the kids. Not the day-to-day functional business thoughts – but the MASSIVE – ‘where the hell am I going with this’, bigger, deeper philosophical thoughts. Because of the new found clarity, I was able to relax, and really enjoy my weekend by just being a relaxed and very happy dad.